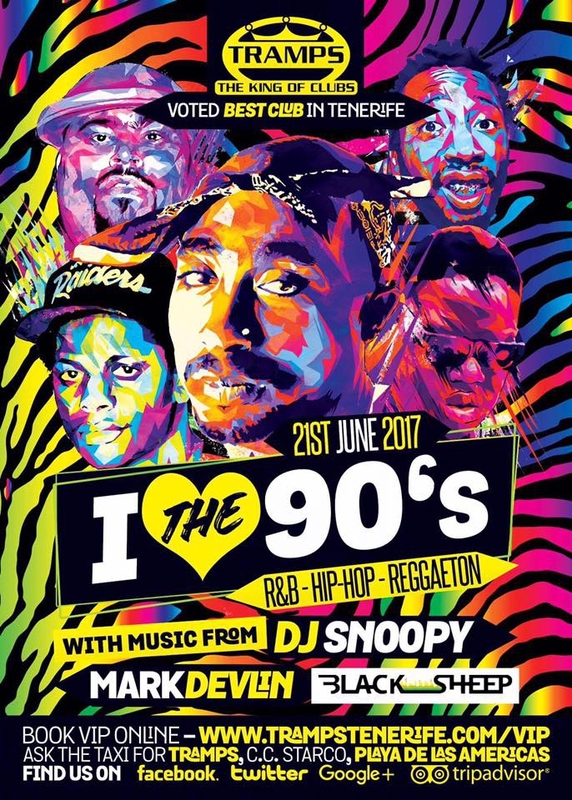 The King of Clubs, Tramps Tenerife presents the I ❤️the 90s R&B night with DJs Snoopy & Mark Devlin playing the best urban classics and transporting you back to the good old times of the 90's. Legendary DJ Snoopy presides over many a session, fusing R&B, hip-hop, reggae dancehall, D&B, garage and funky house. Black Sheep mag’s Mark Devlin will also be in the house, for a night of old-school revival throwbacks. You can dance to your hearts content rom 11pm until 6am.